Walking distance to downtown Ketchum, this gorgeous 3 Bedroom / 3 Bath Timbers Townhome is located in the "Gem Streets"- less than 1/2 mile to the River Run Day Lodge and Ski lifts. With Baldy Views, Central A/C and access to the Timbers Association Hot Tub (next to the townhome) this is a perfect vacation property year round. Entering the MAIN LEVEL of this 1,732 SF Townhome, you are welcomed to an open floor plan with wood floors and high ceilings, leading out to the balcony overlooking Main St. with Baldy Views. GOURMET KITCHEN: The fully equipped Kitchen features Granite counters, Stainless Steel Appliances, and Center Island with (2) bar stools for counter seating. DINING AREA: Adjacent to the Kitchen and Living Area, the Dining Area seats 6. LIVING AREA: Enjoy Mountain Views while relaxing on the sectional sofa or cozy leather chair in front of the Gas Fireplace and huge Flat Screen TV. All of the Bedrooms are also located on the Main Level. BR 3- Twin Guest Bedroom with (2) Twin Beds. Guest Bath with Glass Shower located in the hallway. The LOWER LEVEL consists of the Mud Room and Laundry Room with Full Size Washer and Dryer. Access to the private, heated, attached underground 2-Car Garage is on the Lower Level as well. Lastly, the Timbers shared HOT TUB is conveniently located next to the Townhome. Dog Friendly upon Owner Pre-Approval only. Terms/Conditions apply. 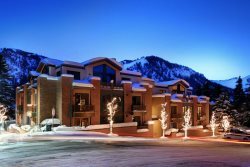 Enjoy your Sun Valley vacation or holiday! STAYS UNDER 5 NIGHTS MAY BE ACCEPTED WITH A CLEANING FEE IN LOW, MID, OR PEAK SEASON. STAYS UNDER 7 NIGHTS MAY BE ACCEPTED WITH A CLEANING FEE IN HOLIDAY SEASON.